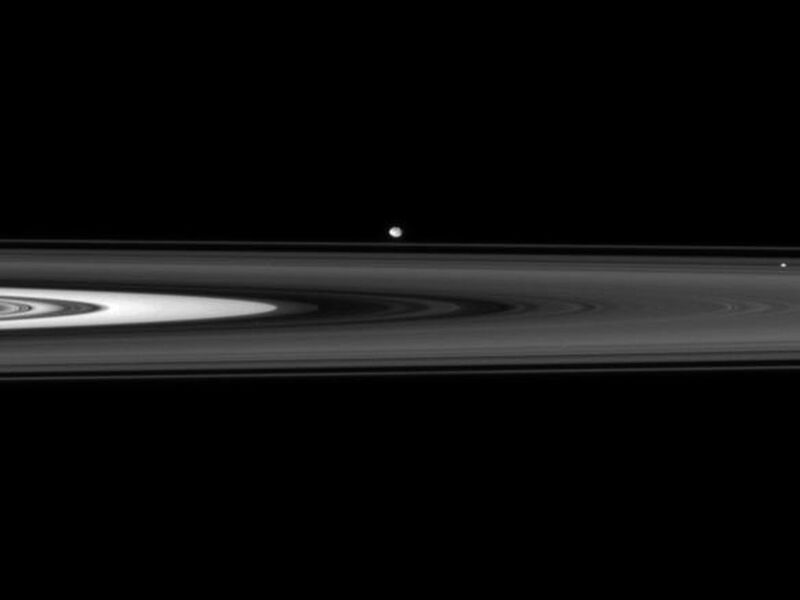 The Cassini spacecraft skims past Saturn's ringplane at a low angle, spotting two ring moons on the far side. Pan (26 kilometers, or 16 miles across) sits within the Encke Gap right of center. 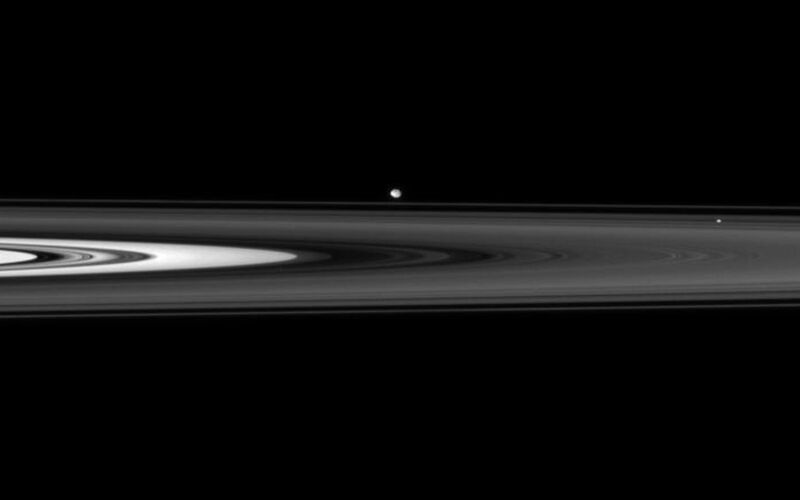 Beyond the F ring hovers Pandora (84 kilometers, or 52 miles across). 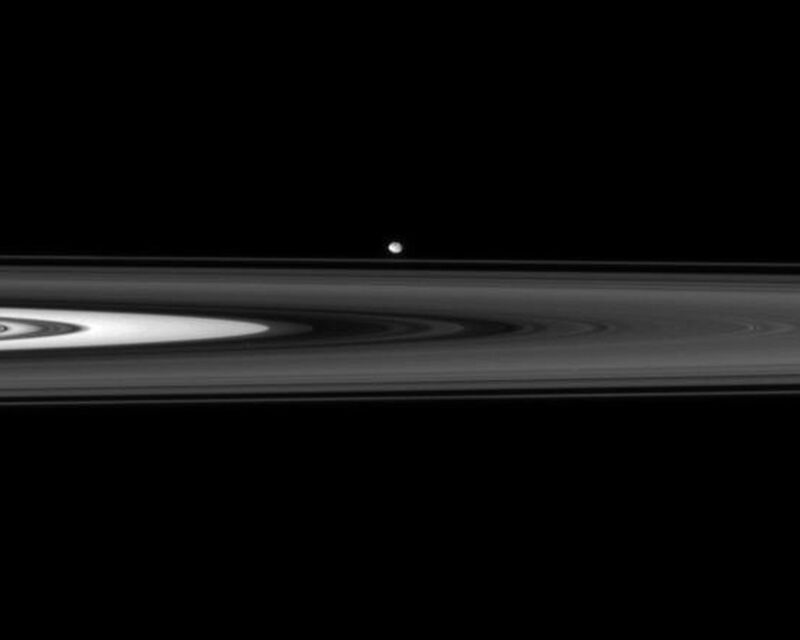 The image was taken in visible light with the Cassini spacecraft narrow-angle camera on June 14, 2007 at a distance of approximately 1.6 million kilometers (1 million miles) from Saturn. Image scale is about 10 kilometers (6 miles) per pixel.